On November 3, TTEO&M marked the UAE Flag Day. 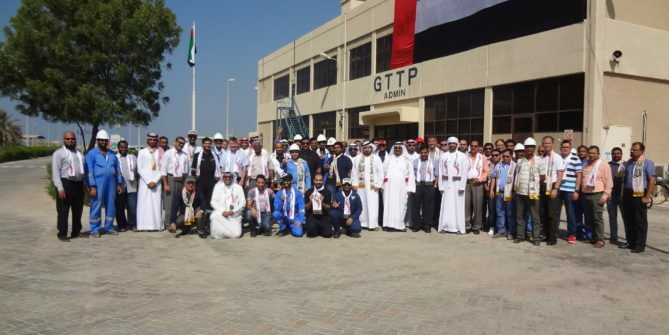 TTEO&M Management and Staff proudly celebrated UAE Flag Day. Gathered in front of GTTP Admin Building, the UAE Flag was hoisted at 11AM, both Emiratis and Expatriates had come together shown their appreciation for UAE and the auspicious occasion coincides with the anniversary of the President His Highness Sheikh Khalifa Bin Zayed Al Nahyan’s accession of office in 2004 as the leader of the country. The United Arab Emirates (UAE) Flag Day is a national occasion where people of the UAE, the Emiratis and Expatriates remember the efforts of the founders of their State, Sheikh Zayed and Sheikh Rashid, and their brothers who offered their ultimate sacrificed to preserve the Union of the nation. It is a day when the national spirit is renewed by reaffirming their allegiance to the UAE Flag, which is a symbol of the country’s unity, and greatness and represents their aspiration for a better future. 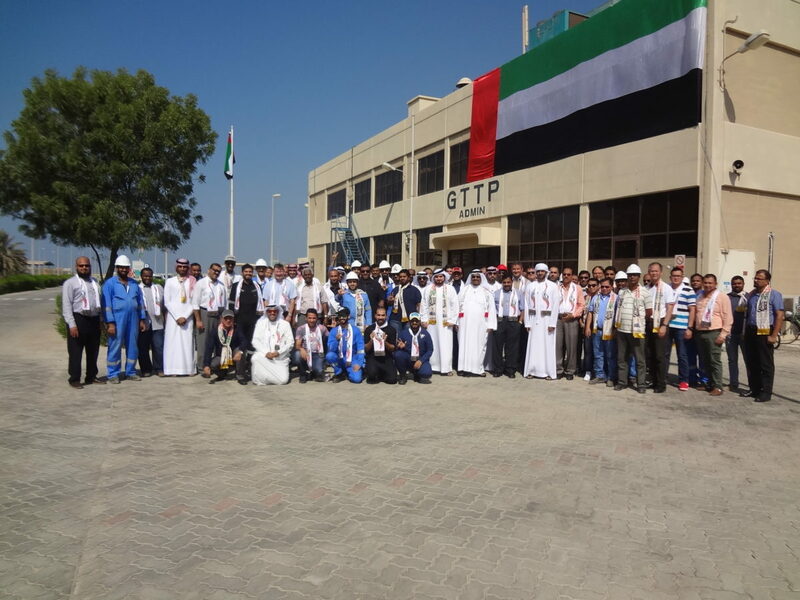 The Commemoration Day or Martyrs’ Day is marked annually on November 30, TTEO&M Management and Staff gathered in front of GTTP Admin Building at 11:30 to contemplate the sacrifices and loyalty of the UAE Martyrs. Attendees then observed a minute of silent pray for the souls of the UAE brave soldiers who have given their lives in the UAE and abroad in the field of civil, military and humanitarian service. Commemoration Day allows everyone, Emirati and expatriate alike, to express their pride in the sacrifices made by the heroes of the UAE. History will always remember the names of the UAE Martyrs and never forget those sacrifices for the UAE granted country’s security and stability.